Christopher P. Sullivan ’75 has been elected president-elect of the Massachusetts Bar Association for its 2016-2017 year, beginning on Sept. 1. Chris is also currently Vice President of the New England Chapter of the Fordham Law Alumni Association and a Partner at Robins Kaplan LLP in Boston. William O’Connor ’80, a Partner at Thompson & Knight LLP, has been selected for inclusion in New York Metro Super Lawyers 2016. He concentrates his practice on creditors’ rights litigation, loan workouts, loan portfolio sales and acquisitions, rescue financing, bankruptcies, and restructurings. Hon. Peter Skelos ’80 was voted a top 10 Mediator in the NY Law Journal Annual Survey. Judge Skelos is a mediator and arbitrator at NAM and a partner at Forchelli, Curto, Deegan, Schwartz, Mineo & Terrana, LLP. Holland West ’80 has retired from international law firm, Dechert LLP, in New York City. He is now Managing Principal of Topsail Insights LLC, a boutique strategic services firm in Chapel Hill, NC. Linda Cantoni ’83 is set to become Counsel to Queens District Attorney Richard Brown in New York. Mark Melendy ’85 has joined Sheehey, Furlong & Behm PC, through a merger with Melendy Moritz, which will expand Sheehey’s Estate Planning, Trusts and Probate practice group. Michael Tuohey ’86 has been with the Mental Hygiene Legal Service (MHLS) in Rochester, New York as a Senior Attorney. The MHLS represents, advocates, and litigates on behalf of individuals receiving services for a mental disability. Amelia M. Klein ’89 was selected in The Best Lawyers in America 2017. Amelia is an employee benefits and executive compensation attorney at Bond, Schoeneck & King PLLC, who assists employers of every size and structure answer their benefit questions and solve their compliance issues. Vincent G. Caracciolo ’91 has joined EPIC Insurance Brokers and Consultants as the National Managing Director of Claims and Coverage Advocacy. Mr. Caracciolo joins EPIC from Integro Insurance Brokers, where he was a Managing Principal and leader of their National Coverage and Claims Practice. Jason M. Halper ’91 has rejoined Cadwalader, Wickersham & Taft LLP as the Co-Chair of the newly formed Global Litigation Group. In this role, Mr. Halper will help to shape Cadwalader’s litigation strategy, the department’s growth and client relationships. He previously served as the Co-Head of the Financial Institutions Litigation Practice at Orrick, Herrington & Sutcliffe LLP. Yasho Lahiri ’92 has joined DLA Piper as a Partner in the firm’s Corporate Practice and Investment Funds group in New York. He represents both fund sponsors and institutional investors in connection with the formation, capitalization and restructuring of private investment funds within the United States and around the world. 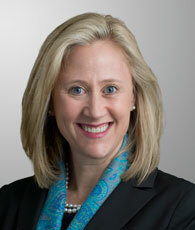 Katharine Parker ’92 has been appointed to serve as a U.S. Magistrate Judge for the Southern District of New York. She will commence her term officially on November 7th at the Daniel Patrick Moynihan Courthouse at 500 Pearl Street. Ms. Parker will be leaving her Partner position at Proskauer Rose in the labor and employment department. Paul Sweeney ’92 was named to the 2016 New York Super Lawyers List. He is currently a Partner in the Litigation Practice Group at Certilman Balin Adler & Hyman, LLP, where he represents clients in a broad range of commercial litigation matters before state, federal and appellate courts. Thomas Capezza ’93 has joined Carter Conboy as a Director, bringing with him nearly 20 years of experience with criminal and civil investigations and complex litigation. Ira J. Goldstein ’93 received an award from The Simon Wiesenthal Center at its 9/11 Commemoration Honoring Heroes for Tolerance at Yankee Stadium as part of the pre-game ceremony. As a former government employee, he received significant recognition from various law enforcement agencies for his assistance “to safeguard the City’s and the nation’s security”. Calvin Siemer ’93 was appointed to Global Deputy General Counsel of the Las Vegas Sands Corporation. Paul Wells ’93 was elected to the St. Joe’s Collegiate Institute, 2016-2017 Board of Trustees. Matthew McGrath ’95 was recently hired as an Assistant Professor in the School of Business at Central Connecticut State University, where he teaches business law, in addition to his continuing law practice. William Jannace ’96 recently became a member of the Bretton Wood Committee, and has been teaching ESG/Impact Investing at Wharton Business School. Eli M. Katz ’99 has joined Latham & Watkins LLP as a partner in the tax and finance department in the firm’s New York office. He has extensive experience assisting clients on a wide range of complex transactions, including those in the renewable energy and financial sectors. Andrew Monteleone ’99 welcomed his son Gabriel Nicholas Monteleone on January 10, 2016. David L. Pieterse ’99 has been recognized in the 2016 Upstate New York Super Lawyers list in the field of Real Estate. David is co-chair of Bond, Schoeneck & King PLLC’s real estate development and construction practice. Alexey Serebrennikov ’01 has been promoted to Country Compliance Officer at Bank of America Merrill Lynch in Moscow, Russia. David Connolly ’02, formerly a partner at Shearman & Sterling LLP, has been named Executive Vice President and General Counsel of Altice USA, a leading national telecommunications, media and entertainment company. He will direct all U.S. legal affairs at Altice USA. Richard DeNapoli ’02 is running for Broward Country Soil and Water Conservation District Supervisor. He is currently an attorney in the trust company field in South Florida and recently won the seat of State Committeeman of Broward County on August 30. Brian Chebli ’04 and his wife, Michele Chebli ’04, welcomed their new baby girl Eleanor “Ellie” Elizabeth Chebli on September 19th at 8:53 am. Jason Otano ’04 has been selected as General Counsel for the New York City Council. W. Dyer Halpern ’06 was named Director of the Tax and Organizational Fraud Unit at the Bronx County District Attorney’s Office. Vivian Arias ’07 has been selected for inclusion in New York Metro Super Lawyers 2016. She is currently a Partner at Thompson & K night LLP, where she focuses her practice on representing institutional lenders in creditors’ rights litigation, insolvency, as well as loan restructurings and workouts. Safia G. Hussain ’07 has joined Blank Rome as an associate in the Corporate Litigation group. She is based in the Firm’s Los Angeles office. Michael Meltzer ’07 recently won the Invest in Others Charitable Foundation’s 2016 Global Community Impact Award for his charitable work with Maya’s Hope, a non-profit dedicated to improving the lives of children in Ukraine and the Philippines. Maya’s Hope received a $20,000 donation from Invest in Others in Michael’s honor. Jeffrey Colt ’10 has joined Covenant House New York as supervising attorney in the Legal Advocacy Center. Prior to joining Covenant House, Colt was a staff attorney at The Children’s Law Center and an attorney on the Assigned Counsel Plan. Sarah Fitzgerald ’10 has been selected for inclusion in New York Metro Rising Stars 2016. She is currently an Associate in the Trial Practice Group at Thompson & Knight LLP, focusing her practice on commercial litigation. Lenore Horton ’10 was named a “Top 10 Black Female Attorney You Should Know” by Black Enterprise Magazine. She is the founder of LFH ESQ, her own law firm with locations in NYC and Washington, DC and is also the Founder and Principal Strategist of The KETNOI Group LLC, a coaching and consulting firm. Kelly L. Tucker ’10 has joined Grant & Eisenhofer, P.A.’s Wilmington office as an Associate. She focuses her practice on securities litigation, corporate governance, and appraisal rights. Jodie Shihadeh ’11 was promoted to Managing Attorney at The Davis Firm, PLLC in New York City. Luis Arriaga ‘12 has been selected to receive a Loyola Marymount University, Center for Reconciliation and Justice Hidden Heroes Award. Kristin Marchesiello ’14 has accepted the position of Corporate Counsel at Matomy Media Group. As Matomy’s sole legal counsel in the US, she leads the legal support for the New York, Florida and San Francisco offices in all issues of law that may arise, as well as serving as a member of the international legal team. Taylor Dean ’15 has joined Clifford Chance LLP as an associate, focusing on Litigation and Dispute Resolution. Michal Pearl ’16 has joined the New York City Law Department in its Tort division as an Assistant Corporation Counsel. Edward Tavella ’16 has joined the New York City Law Department in its Tort division as an Assistant Corporation Counsel. Helen Terrero-Black ’16 has joined the New York City Law Department in its Tort division as an Assistant Corporation Counsel. She was previously a Legal Intern at the New York City Law Department as well. Carlos Ugalde ’16 has joined the New York City Law Department in its Administrative Law division as an Assistant Corporation Counsel.